NOTE: ADDRESS CHANGED by County Jan 2018. 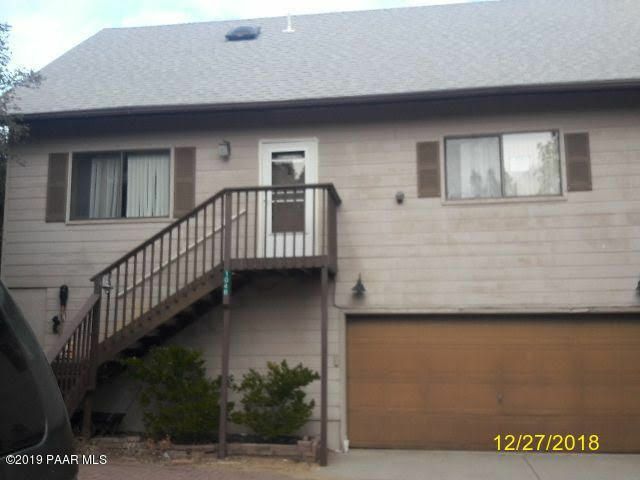 See MLS 1009108 at 1048 S. Apache Drive!!! Lovely private retreat in the Mountain Club (and not within the HOA!). Home is snuggled into the forest trees but has walls of windows to bring in the panoramic mountain views in every room! Single-level living with kitchen, master bedroom, laundry, and spacious living/dining room all on the main level. The upper level has a cozy mountain-style bedroom and bath, storage space, and an open loft area. On the lower level, through the over-sized garage, is another bed and bath plus large storeroom. Come see what this charming home offers! It is a gem and now just needs a little work to make it shine! Directions: South on White Spar to R on Clubhouse Drive. R on Walnut, immediate R on Apache Circle. Follow it around and down the hill to sign on left. When leaving, continue down the hill back to White Spar.